This article is dedicated to the latest results of the male tennis players from the former USSR states, or, to be more precise, to the absence of their results. Alexander Dolgopolov, the Ukrainian top player, is currently ranked 31, while Russia, which is the largest post-soviet county, has no representatives in the top 70. But Russian men’s tennis was a much different beast not so long ago. Yevgeny Kafelnikov became the first Russian to reach the top of the men's rankings, followed by Marat Safin a year later. Both won two grand slams apiece during their careers. Marat Safin will remain the most beloved tennis player in the region. And then there were Nikolai Davydenko, who had finished in the top five for four consecutive years and Mikhail Youzhny who didn’t manage to achieve anything worthwhile despite his great talent. It goes without saying that after Marat Safin retired the men’s tennis in Russia has started declining but Davydenko and Youzhny managed to keep it alive on a very decent level. And then there is silence. No change of guard in sight. The crises after Davydenko’s retirement was widely predicted but its depth surprised millions of amateurs and professionals. Let’s be honest: the quality of tennis athletes’ preparation in the post-soviet states is far from being perfect. Quantity matters much more than quality. In other words, in Russia they believe that among huge number of juniors who undergo cost-efficient training there will be at least one or two guys with inexhaustible talent who will show top results in spite of, not thanks to. The strategy is rather doubtful, I would say. However, it produced very decent results. The Ukrainian Alexader Dolgopolov is probably the last vivid example of a person with natural gifts. He would have become a top player anyway, shall he train not in Congo, certainly. Dolgo owes his success not to the well-established system, but to his own genes. The question is how the system can build on such talents. Let’s take a look at the USA, Australia, France or Great Britain. As soon as there appear more or less capable boys or girls, they are given all the support they can dream about. Thus, Great Britain has polished Andy Murray from head to toe providing him with all that he might need to bring results representing his nation on the world’s arena: sponsorship, best coaches, training equipment, wild cards…Oddly enough, but we believe that the net talent of Andy Murray isn’t huger than that of Alexander Dolgopolov or Mikhail Youzhny. Andy is a product of the perfect professional system. Now we may only play a guessing game, but let’s imagine that a 5-year-old Dolgopolov would have been put in Murray’s environment. We are confident that the Ukrainian would have dropped out from the top 5 then. What are we driving at? Tennis is slowly becoming an unfair and unjust sport. The struggle has moved far away from the courts. Now it’s a fight of massage therapists, nutrition specialists, fitness instructors, physicians, sponsors and finances. Sadly, but true. And you should admit it or quit tennis. It’s not enough to have a God-given talent. The system you belong to must be functioning properly. National federations must greatly contribute to the players’ development. And the contributions should go deeper than just sending out invitations to participate in the Davis Cup championship. If there are no national tennis schools and academies, no coaches and no decent conditions, then raise the funds to help the youngsters. Otherwise, what’s the use of national federations? If there is no shift of mind in Russia and its neighboring states, a new Safin will take too long to appear on courts. Until this situation changes soon, it could start affecting Russia's flow on the women's tour as well. How many Challengers, budget hotels and rough courts should Donskoy, Rublev and Khachanov overcome to stop knocking on the top 90-100 doors? How long did it take the Ukrainian Ilya Marchenko to reach a boost in his career and announce himself to the world of tennis? Six years! Compare it with Denis Kudla, Donald Young and Francis Tiafoe. How many wild cards have they received just because of their nationality! I have nothing to say against these guys but the tendency smells wrong. Some players are granted with endless opportunities to perform at high-ranking events, while others aren’t allowed to qualify. Certainly Young, Johnson and Tiafoe can do their best on trainings mastering different elements and not to worry about participation at major events. They know that the United States Tennis Association will take care about it. As for the Russian youngsters, they are doomed to play numerous Challengers and this fact can’t but trigger questions. When and what for should the guys hone their tennis? Now some more bad news. Let’s assume that the system has suddenly started working and paid attention to its tennis players. The problem is that there is no one to help now. With no prejudice to the Russian athletes, Donskoy isn’t a top player. There are too many shortcomings in his play or, to be more accurate, he has no strong sides. Andrey Rublev is a promising tennis prospect but he’s undercooked and lacks consistency. In our opinion, the most he can achieve given his physical data is Andrey Kuznetsov level, which is not that bad. But it’s not worth the trouble. 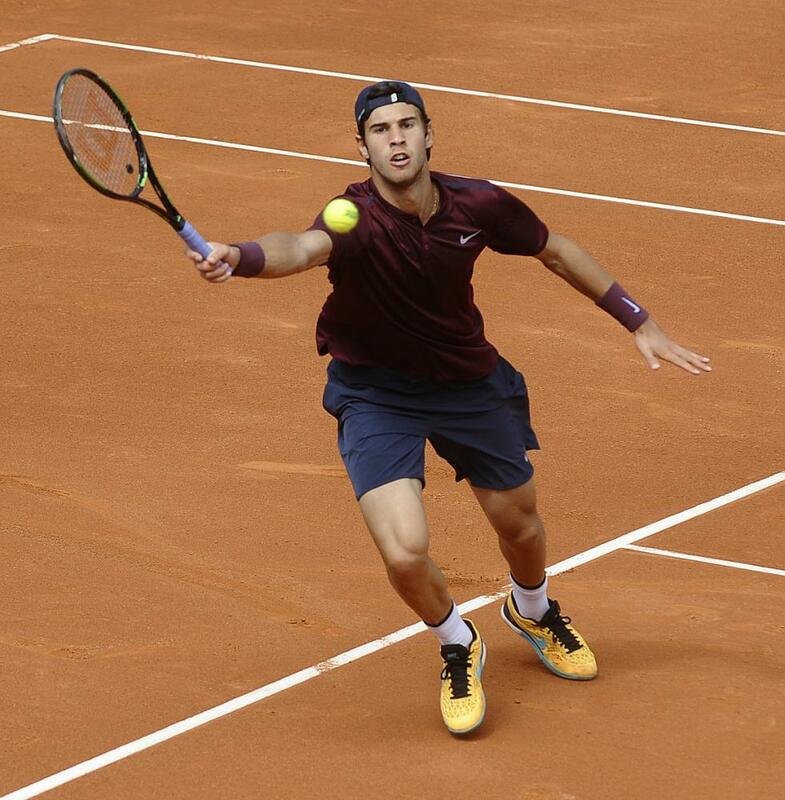 As for us, we keep insisting that Karen Khachanov is the most promising teenager in the post-sovient region. He as it all to succeed: physical power, wonderful technique and fighter’s attitude. Armed with a lethal shotmaking arsenal, predicated on a fierce forehand and imposing serve, the Moscow native has seen his position in the Emirates ATP Rankings soar nearly 150 spots in the past year. Hopefully, he’ll be able to improve on his style and advantages.